← Brash Jobs: Dressing for the Interview (Part 4)…With a Surprise Guest! Nothing super special this week – just wishing everyone a happy holiday, whichever holiday that may be. For many people, their Christmas present came early this year. You know what I’m talking about: the new Star Wars movie. Last week, The Force Awakens released into theaters with record-breaking sales. 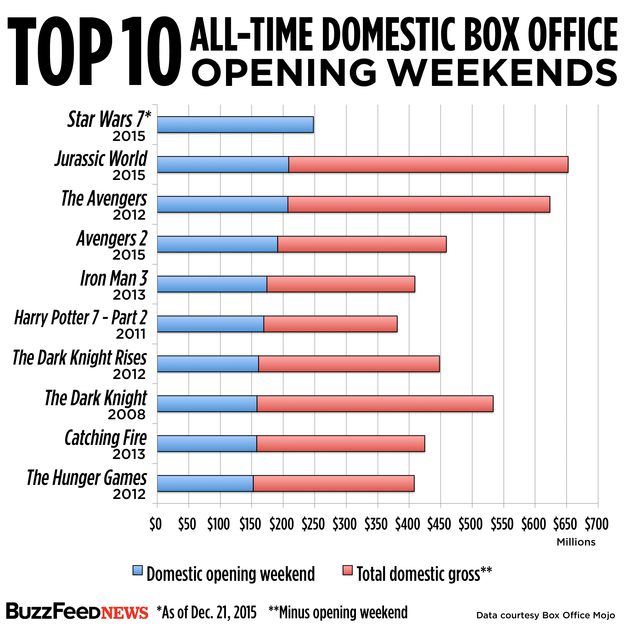 Buzzfeed did a great breakdown of the opening weekend, which you can read more about here. 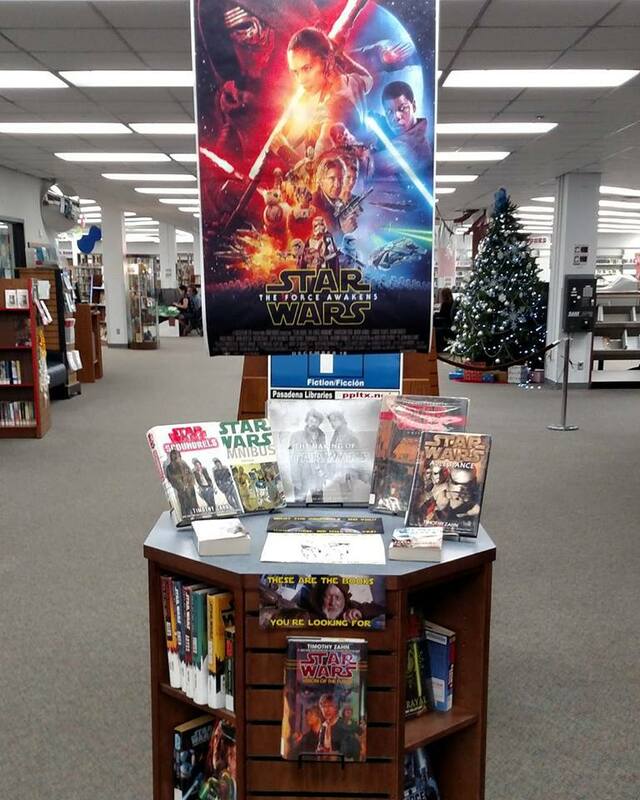 What does Star Wars have to do with libraries? It’s all about that marketing. If there’s one thing we’re good at, it’s learning to promote and market ourselves on a budget. How do we do that on the cheap? Make a display from the materials you already have! Oh yeah, and a Christmas tree or something. You might call this riding the coat tails of trending pop culture, I call it a way to drive up checkouts. As long as everyone has Star Wars fever, why not give them the previous movies and books to check out? They get to know their favorite series better, you get increased checkout stats. Win-win! That font is available free online, BTW. Some libraries REALLY got into it. Check out this lightsaber battle in the library, courtesy of Invercargill City Libraries and Archives in New Zealand! Feel free to look them up on Facebook, too. 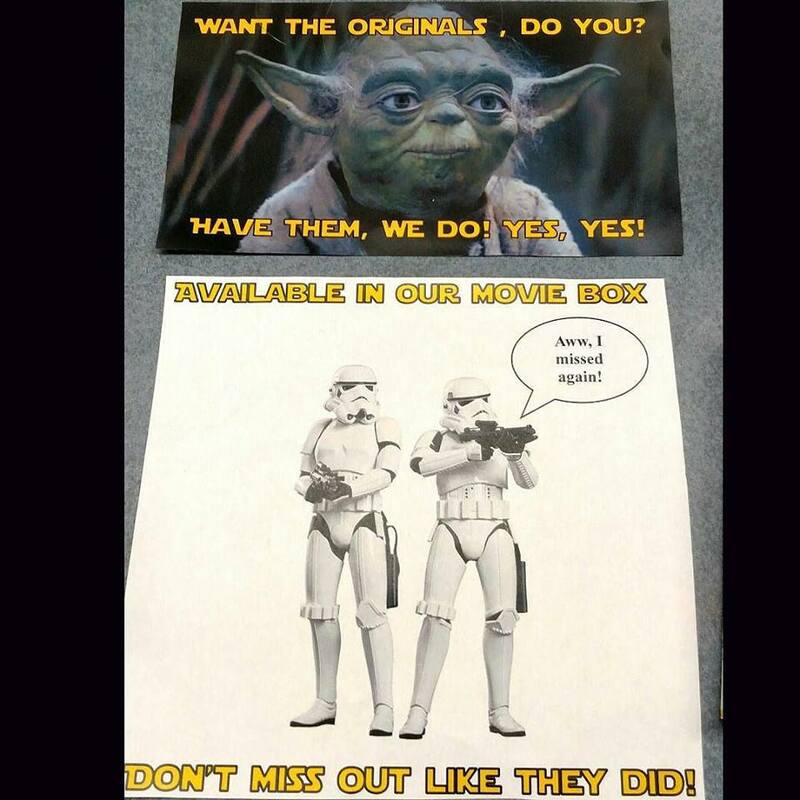 Did your library do anything for Star Wars? Let me know on Facebook, Twitter or Instagram because I’d love to see it! That’s all I have for this week, stay safe in this holiday season! This entry was posted in Uncategorized and tagged book, books, Brash, Brasher, business, buzzfeed, facebook, funny, instagram, Invercargill, justin brasher, librarian, librarians, libraries, library, library science, MLS, New Zealand, social media, Star wars, stormtrooper, the force awakens, twitter, yoda. Bookmark the permalink.